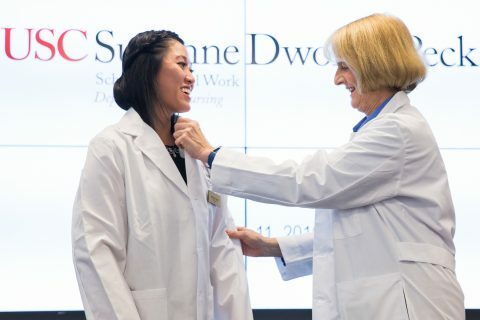 The Department of Nursing at the USC Suzanne Dworak-Peck School of Social Work has earned a prestigious national accreditation from the Commission on Collegiate Nursing Education, an accrediting agency of the U.S. Department of Education. 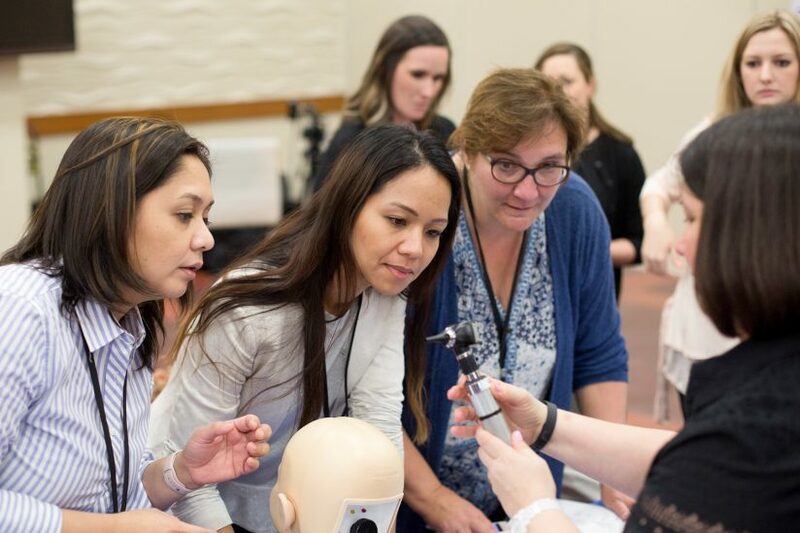 The five-year accreditation, the maximum duration for a first-time applicant, comes just weeks after the school graduated its first three Master of Science in Nursing (MSN) students in May. The accreditation arrived after about eight months of legwork to document institutional commitment, curriculum and teaching-learning practices, admissions and student profiles, as well as department leadership and faculty. The program review also included a site visit by the accrediting team. Olshansky noted that the 200-plus page “self-report” document was compiled through the efforts of a small writing team including Sharon O’Neill, department vice chair; Kathleen Becker, clinical associate professor; Joan Kub, adjunct professor; and Olshansky. The accreditation marks what may be the first of its kind within a school of social work, Olshansky said. It’s an important milestone for the Department of Nursing and its innovative approach to develop a new generation of advanced practice nurses whose scientific foundation and holistic approach to nursing is augmented by social work’s vision and expertise. The program emphasizes health care grounded in an understanding of the social factors that influence patient well-being. 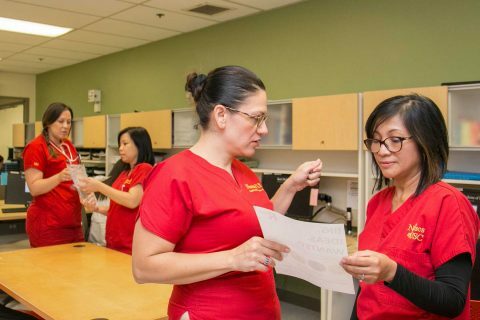 Olshansky helped launch the online Nursing@USC program as the school’s first Department of Nursing chair in fall 2016, with O’Neill, vice chair of the department and director of the online MSN for Family Nurse Practitioners program. Olshansky recently announced her planned retirement from her positions as professor and department chair. She’ll continue to collaborate with nursing and social work faculty on research projects. 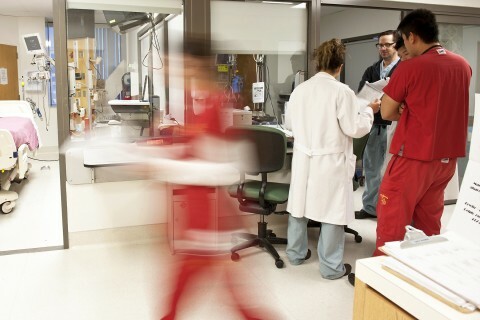 We have exciting future plans for the Department of Nursing. Research Associate Professor Janet Schneiderman will step in as interim chair of the program while a permanent replacement is sought. Formerly vice chair of USC’s nursing department — phased out in 2004 — within the Independent Health Professions at the Health Sciences Campus, Schneiderman brings leadership and expertise in nursing education, as well as the study of the physical health of and health care use by maltreated children who are part of the child welfare system. 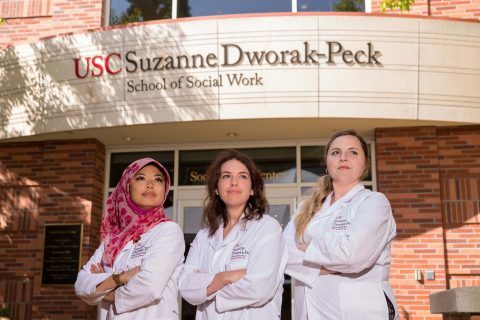 The USC Suzanne Dworak-Peck School of Social Work’s MSN program is the first program of its kind offered at USC. Offered online, the program has drawn students from around the state and across the country. Classes can be taken part-time (over eight semesters) or full-time (over five semesters) in a fully online format, with two on-campus intensive courses and clinical placements in local communities. Students are admitted in cohorts and begin courses three times a year. The program is designed for students with at least one year of clinical experience as a registered nurse. 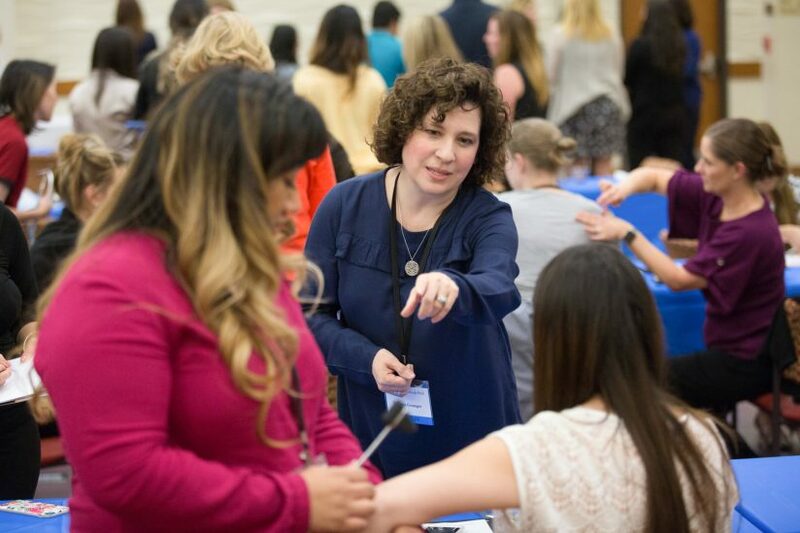 The Department of Nursing aims to develop advanced practice nurses whose holistic approach to health is augmented by the expertise of social work. The event celebrates the newly launched online degree program offering a Master of Science in Nursing degree. Graduates will help meet the nationwide need for advanced practice nurses in primary care settings.